Born in Virginia, Minnesota, Ms. Lenci worked as a hostess in a hotel restaurant during high school as an early introduction to the hotel/restaurant industry. She then went on to the University of Wisconsin Stout, where she graduated with a degree in Hospitality and Tourism Management. During her college years, Ms. Lenci completed a summer internship at the Hyatt Regency Beaver Creek in Colorado, and upon graduation, Ms. Lenci accepted a position as Corporate Management Trainee with Hyatt Corporation. Her first placement was with the Hyatt Regency Lake Tahoe, where she quickly moved into an Assistant Manager position in the fine dining restaurant. Two years later she moved to Scottsdale to work at the Hyatt Regency Resort at Gainey Ranch. There Ms. Lenci held multiple positions as she was promoted, including Restaurant Assistant Manager, Banquet Manager, Executive Stewarding Manager, and finally Beverage Manager. During her years in the hospitality business, Ms. Lenci has had the good fortune of working and living in many beautiful places, which led her to Hidden Meadow Ranch, a boutique property in Arizona’s White Mountains. In 2003, she accepted the position of Lodge Manager with enthusiasm and excitement for helping to create a wonderful place for guests to “escape from everything but luxury.” In 2006, she was named General Manager – Lodge & Club Operations, operating the Lodge as well as the whole-ownership and fractional-ownership Club properties. 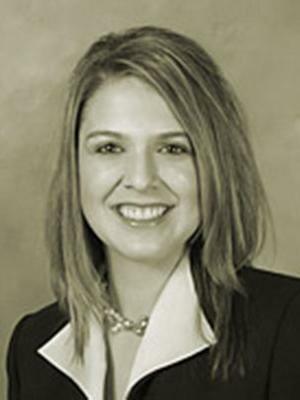 Ms. Lenci is a licensed Arizona real estate broker and was named Vice President of Operations for Greenbrier Southwest in 2008.